"It inspires me to see how each day our students are learning different things that will add up to them becoming innovators and leaders." 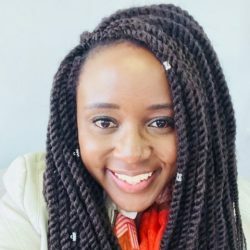 Elma is a Grade 2 Resident Teacher at Nova Pioneer Midrand in Johannesburg, South Africa. I joined Nova Pioneer because our mission and vision is something that resonates with me. There is a quote by Maria Montessori that I absolutely love: ‘The child is the father of man.’ Nova Pioneer’s mission and vision in many ways echoes that statement. We are developing generations of children who have untold, immeasurable potential to change the world for the better. What keeps me here is that day by day I play a part in the process of guiding our next generation of leaders to strive to be the best they can be, not only for themselves but for the people around them too. I may not be able to actually quantify just how much of a difference I am making to their development, or if at all I am! But what I cherish the most is that each and every day I am a part of the little triumphs and moments that give insight into just how special our children are and what they are capable of. That’s what keeps me here, that each day, something happens that renews my strong belief in the wonderful impact that these children are eventually going to have on the world. I just want to continue witnessing and sharing in their growth. The children. It is such a delight to watch the children learn not just academics but also how to interact with each other, how to stand their ground and live out our Culture Principles. Best of all is when they have those ‘aha!’ moments and finally understand a certain concept. The way their faces light up when that happens is priceless! It inspires me to see how each day they are learning different things that will add up to them becoming innovators and leaders. I believe my own self-confidence has grown. There have been situations where I have been stretched beyond what I believed I could do and I have grown as a result. For instance, through facilitating grade team meetings or morning round up meeting, I am now more confident to speak in public than I was before. Even though I am still working on it, I also feel that I am better able to give feedback to my grade team. One Friday our children decided to throw a surprise party for my co-teacher and I. They planned and executed it by themselves in secret over a period of three days. Miss. M. and I really had no clue that they were planning behind the scenes. So, on Friday afternoon during the Creative Arts period they all magically disappeared from the class, then walked back in as a group and shouted ‘Surprise!’. They proceeded to plate the snacks and pour the drinks they had each brought. They sang us songs they had made up and gave us the gifts they had. That Friday was officially declared as Teacher’s Day! I was really humbled and touched because it means so much to receive such an expression of love and appreciation from a young child. It also amazes me how effectively they were able to work together, assign responsibilities and put together one of the best surprises I have ever had. It is such a privilege to be part of their lives and witness such moments, and countless others where it feels like you have caught a glimpse into the heart and mind of a child. My son is basically the centre of my universe and just about everything I do is driven by the fact that I want to be the best I can be for him and be someone he looks up to. As a result, I find myself doing things I am scared of, like signing up to climb Mount Kilimanjaro because I want him to know that fear should never hold you back. I find myself learning about cars because he is passionate about cars and in turn I am teaching him how to bake because I want him to know that it’s a joyful experience to share your passions and interests with someone else. I am working on studying further so that he also sees that you are never too old to go back to school. There is so much to learn! I am a single parent and I know that if I make a conscious effort to live out the qualities that I would like him to have, I will also be encouraging him to have the same qualities. I believe that this has also been a great positive influence the way I relate to the children I teach.